Arguably the best of the Denis Belanger-era Voivod albums, Nothingface is highly recommended to just about any aficionado of twisted, original heavy metal or prog-rock. Although its roots are in progressive rock, the group knows when to lay off the virtuosic overkill and play it straight. A superb, tripped-out cover of Pink Floyd’s early psychedelic masterpiece “Astronomy Domine” is the album’s highlight, and its video aired numerous times on the early-’90s MTV show Headbanger’s Ball, introducing many to the band for the first time. Vocal melodicism is stressed heavily on Nothingface, with Belanger’s vocals pushing such tracks as “Missing Sequences” and the title track, as do guitarist Denis D’Amour’s jazzoid-metal guitar riffs. The group’s lyrics may be hard to decipher for some (relying heavily on themes of science fiction that often paint unsettling pictures), but ultimately help complement what the group is doing musically. Nothingface also turned out to be their most commercially successful album, making an appearance on the Billboard charts. Jason Newsted of Metallica has praised Voivod as one of his favorite metal bands on numerous occasions, and after hearing Nothingface, it’s easy to understand why. © 1990 by Cherry Lane Music Company, Inc.
BOTTOM LINE: Mind-banging, futuristic Canadian metal. Voivod is a French Canadian quartet that has come down from a small town north of Montreal, bringing with it a bizarre, futuristic hybrid of metal that bangs at your mind until it infects you with its computer bug. 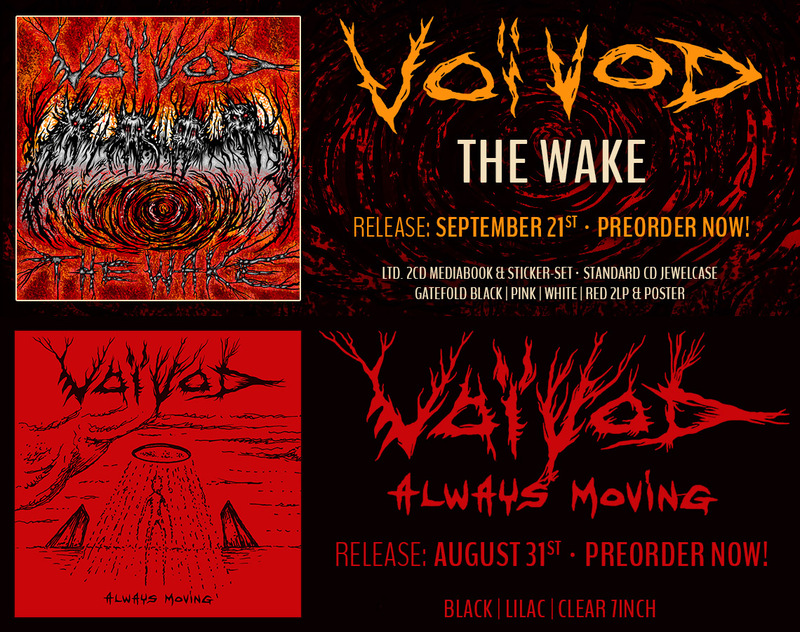 The band’s music is a jarring, disjointed mass of menacing riffs, gentle vocal harmonies and demonic rhythms, that clash and contrast as they mix together to form odd tales of the mythical wandering Voivod. Few “thrash” bands so artfully make sense out of seemingly unrelated pieces of electronic rubble. Each of Voivod’s involving songs is a jigsaw puzzle of dread and jamming guitar. Denis “Piggy” D’Amour is a guitar rhythm killer, who has mastered a library of riffing styles, sailing them across the rivet-gun bass of Jean-Yves “Blacky” Theriault. Piggy’s solos are more atmosphere than action, patching odd intervals and power surges onto the jumbled memory chips of the band’s mindworks. Voivod so intently leaps from point to point that much of Nothingface doesn’t always make sense. But when the band connects its peculiar rock circuitry, as on the diverse jazzy churning of “The Unknown Knows,” or the explosive “Pre-Ignition,” you know you’re listening to music tapped directly into the future of metal.